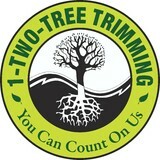 Professional service at affordable prices you can count on 1-Two-Tree Trimming for all your arbor care needs. Our licensed and insured technicians are easy to converse with, attentive to detail, and get it right the first time. We consistently provide more than expected for less than expected and you can expect the highest standard of tree care including state of the art laser accuracy, a thorough yard clean-up, and Oak cut seal throughout the year. Complete satisfaction with the work from beginning to end is our primary goal and we look forward to being at your service. Schedule a free arbor consultation today and see - You Can Count On Us! 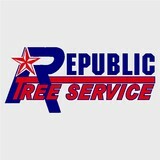 Republic Tree Service is a family-owned and - operated business. We pride ourselves on going above and beyond in meeting your expectations and making sure you are satisfied with our work. We provide a full slate of tree services to the people of San Antonio and the surrounding areas. We are committed to excellence in every aspect of our business. We uphold a standard of integrity bound by fairness, honesty, and personal responsibility. Our distinction is the quality of service we bring to our customers. Accurate knowledge of our trade combined with ability is what makes us true professionals. Above all, we are watchful of our customers' interests and make their concerns the basis of our business. Tree service in Austin, Texas with ISA Certified Arborists on staff. Services include tree trimming, removal, stump grinding, tree sales/planting, cabling and diagnosis. Our Mission Statement: It is our absolute mission to provide every single customer with the greatest professional tree service and knowledge at the best rates. 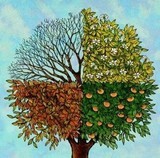 About Four Season’s Tree Service: There are thousands of different species of trees in Texas and all require different care. 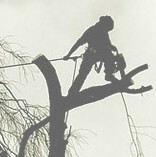 Having the knowledge and experience in arboriculture sets us apart from the mainstream “tree trimmers” of the industry. We specialize in difficult and dangerous tree removal. With over 20 years experience we have safety and efficiency down to a science. In addition to trees, Four Season’s Tree Service maintains a humble business with little overhead, which in return, saves our customers money. Our Promise: We will listen to and take care of your needs and concerns. We will assess care that is needed and will not sell you services that your trees do not need. We will take the time to answer your questions and solve your trees needs as well as your budget. Did you know? The trees in your yard can enhance your property, provide shade and offer abundant environmental benefits. If your trees are not being properly maintained; simply put, they are dying and you may not notice the warning signs until it’s too late. Most assessments are simple and maintenance is easy to implement. Proper and proactive maintenance of your trees will save YOU money and your TREE’s life. Ask us how to AMP up your trees needs with our AMP program. Our Annual Maintenance Program is guaranteed to keep your trees healthy and you happy. More info: Hours: Monday - Sunday plus 24 hour emergency response We Love our Military & Seniors! – Automatic 10% discount Refer Four Season’s Tree Services to someone else and YOU AND YOUR REFERRAL will BOTH receive 10% off. All AMP (Annual Maintenance Program) customers receive discount. Servicing all of San Antonio and surrounding areas. History: In 1989, Owner, Dwight Cox, developed an interest in trees after observing arborists at work and began to vigorously educate himself. Soon after, he began his career and developed his business in the artistry of arbor maintenance. In 1995, Dwight put his love for nature on hold to respond to the cellular boom and worked as a cellular tower climber. Years later Dwight went back to providing his skills as an arborist and serviced various tree companies in San Antonio, Texas. Dwight could not stay away from his love for nature. And today, Four Season’s Tree Service is born. 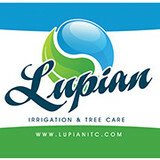 Lupian Tree Care is a tree services serving the San Antonio, TX area since 2000. Services include Tree Services, Commercial Tree Services, Pruning & Trimming, Tree Removal, Emergency Tree Removal, Storm Damage Cleanup, Cabling & Bracing, Chipper Service, Crane Services, Stump Grinding & Removal and Landscaping. Professional tree care may be harder to come by than you think. Since 1996, Teague's Tree Service has been leading the way in tree planting services, tree removal, and trimming for property owners across the San Antonio, TX region. When you need tree care, do it right from the start. Allow Teague's Tree Service assist in every aspect of tree maintenance or removals. We’re dedicated to preserving the health, beauty and value of one of the most important natural resources on earth, your trees. Our desire is to provide the best possible care and service. Our goal is to highly satisfy our customers through high quality work, a positive attitude and great customer service. Our expertise in the tree care industry is highly respected in and around San Antonio. We service residential, commercial and ranch properties since 1979.We’re dedicated to preserving the health, beauty and value of one of the most important natural resources on earth, your trees. Canopy Tree Service is a complete tree service company located in San Antonio, TX. Most of the 2000+ customers who have worked with Canopy Tree Service reside within about 30 miles of downtown San Antonio. To help you navigate this web site, here is an overview of what you will find in this section. Burkett Arbor Care is a full service Commercial tree care company, serving the Texas Hill country and San Antonio area. We can often be seen climbing trees and working with heritage live oaks. It is all in a day’s work trying to create a greener, healthier environment. Above All Tree Service is a tree service company located in San Antonio, Texas. We are professional tree care experts that will service all your commercial or residential trees. We provide ISA certified tree care services for San Antonio, Stone Oak, Alamo Heights, Helotes and all the surrounding areas. Our tree services include tree trimming, tree pruning, tree and stump removal and land clearing. Our ISA certified arborist also provides expert analysis of tree disease and insect infestations. Our arborist also assists with tree fertilization and preservation of existing trees. We offer free estimates for any residential or commercial tree care service. Call Above All Tree Service in San Antonio today! I have 17 years of experience working with other companies engaging in all types of tree work. I am currently enrolled for my certified arborist license in January 2016 and have begun to work for my own company. My experience extends to daily tree service work for residential and commercial tree trimming, general tree maintenance and tree removal. We love the concept of helping the San Antonio community to keep their greenery landscapes. Alex’s Professional Tree Services has more than 20 years of industry experience handling residential and commercial tree services, stump grinding, and lawn maintenance in San Antonio, TX and the surrounding areas. We offer residential tree trimming and topping, as well as demossing, cabling, and pruning. All our services are fully bonded and insured for your protection. Your Helotes, TX tree service professional or arborist might work in conjunction with another landscape professional to create a seamless landscape design. Here are some related professionals and vendors to complement the work of tree services: Landscape Contractors, Landscape Architects & Landscape Designers, Garden & Landscape Supplies. Find tree service professionals on Houzz. Look in the Professionals section under Helotes, TX tree services. You can look through portfolios and read reviews to see what past tree care clients have to say.